Goa for giving in association with city corportation of Panjim organised a three day goan food extravaganza called ‘taste of Goa’ from the 9 to the 11 of January at the Garcia de Orta Gardens. If there is anything foodworthy in the state of Goa you can be sure that foodietrails will follow the trail. 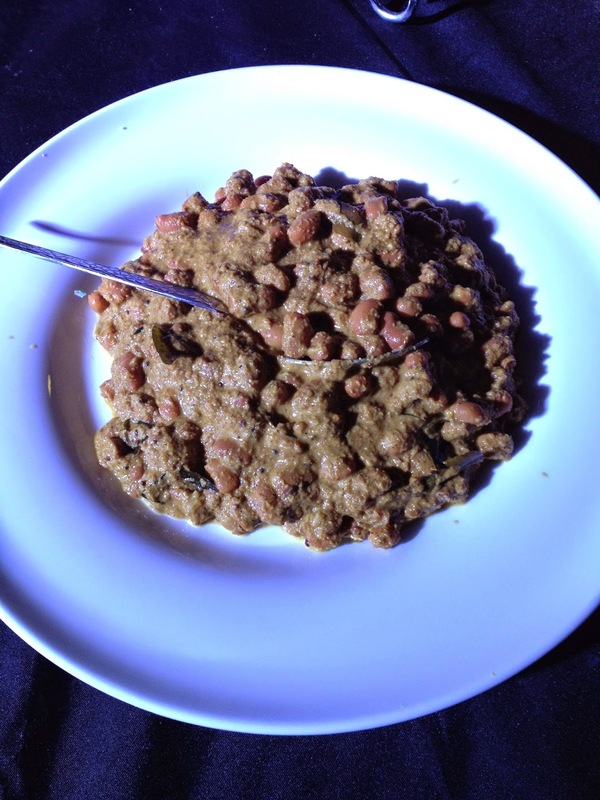 Be it the food at the recent IFFI 2014IFFI , or the Saturday night bazaarsaturday night market, or the carnival food festival goa carnival, Sarah todd visitsarah todd, you can read about them in the archives and the links provided. So what does Goa taste like? Ask anybody that question and the resounding answer would be seafood and beer. But there is more to Goan cuisine than the rava fry, and xit kodi ani nuste (fish curry and rice). Goa was a colony of Portugal long before India was a colony of Britain and even for a few years after the British left India, Portugal continued to colonise Goa. But while the rest of India never adopted or adapted much from the british culinary landscape, Goan cuisine , especially Goan catholic cuisine is redolent with Portuguese influences. the sorpotel , vindaloo, balchao rub shoulders with the xacuti, xec xec and khat khate. Thus we had London based chef Cyrus Todiwala and his team bringing Goan cuisine to the world where they invited a few eminent personalities to come sample Goan food at the lovely Acron Waterfront. The festival in Panjim saw local restauranteurs setting up stalls and interesting art installations around the garden lawns,live music by bands and even Goa’s very own fadista Sonia shirsat. It was wonderful to talk Mario Paul Falleiro the owner of Mario’s Masala. They function out of Lautolim a scenic village in south Goa. 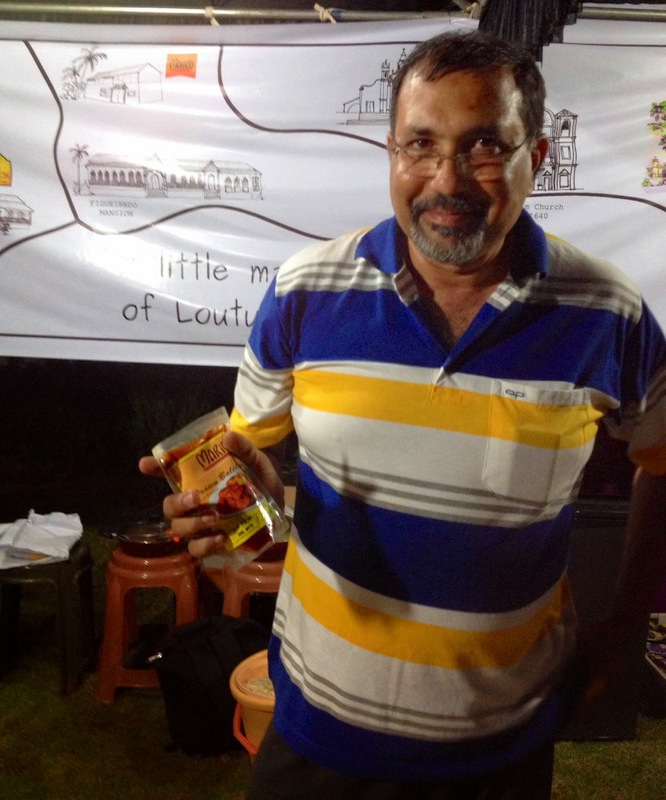 The guys from Lautolim had a stall with many entrepreneurs from the village. There were bakers, and painters, and pickle makers all bonded by the immense pride of their village. Mr Mario was cheerful and patient as he handed out samples of his pickles and curries on crackers for us to taste. Now I have a packet of Recheado masala from Mario’s in my fridge which is now in it’s sixth month of residence, so I asked him how long do the masalas and pickles last. Up to and sometimes over 2 years. 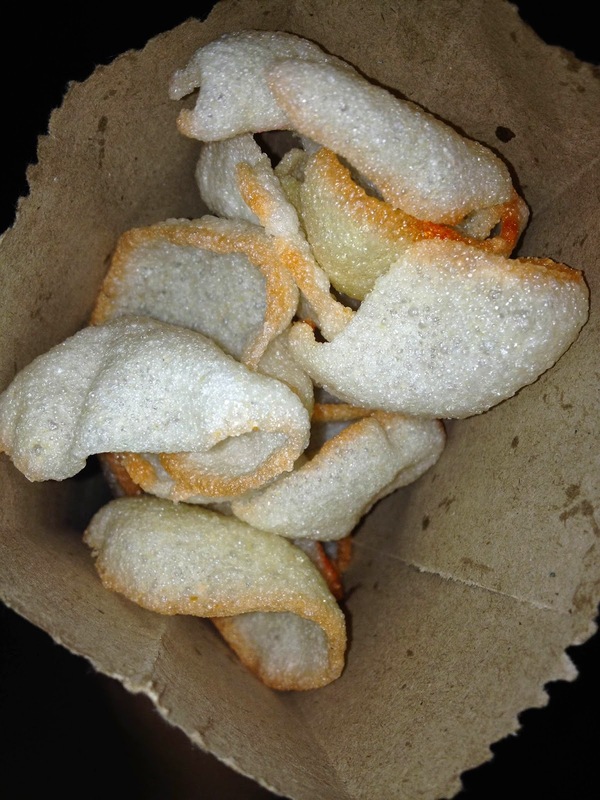 He himself has kept some in his fridge as an experiment. They get better with time he explained. Infact the govt of Goa expects a best before 12 minths on the packet, but they arte good to go for much longer. Marios masala is a staple in many homes , they are gifted to our out of town friends and relatives, they are packed off by Goans to Dubai and Kuwait, and it was wonderful to finally put a face and name to the much loved Kitchen staple. Hansel Vaz owner of Cazulo Feni also the husband of Wenona Vaz a friend and a colleague. 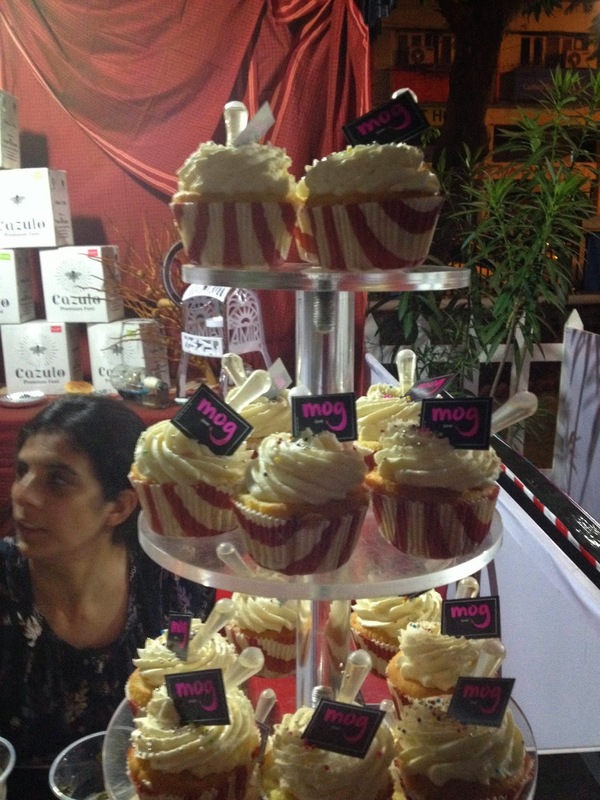 They perhaps had the most innovative stall with Feni cupcakes. Ordinary cupcakes made special by a dropper filled with feni. You can titrate the amount of Feni you want in your sweet confectionery. I loved it. Simply loved it. OK so I enjoy cupcakes, but I loved the innovation. 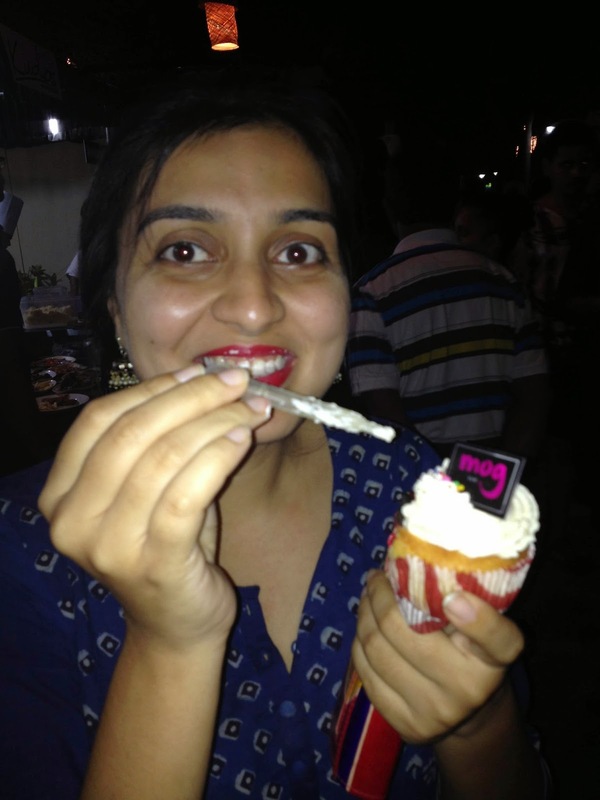 Not a big fan of feni, but can see how this is going to be the next big thing in cupcakes since the red velvet trend. The mood was upbeat with milling people, families with kids, and great music. They also had a central stage where chefs did a few cooking demonstrations. Unfortunately they were not being screened on the large screens provided, and the large croewd aroungd the stage prevented a lot of us from watching the goings on. There was liquid nitrogen desserts made, and a few chocolate confections, but I wish they had screened them so that more could enjoy. Next was the chefs cookoff with local restaurants participating. 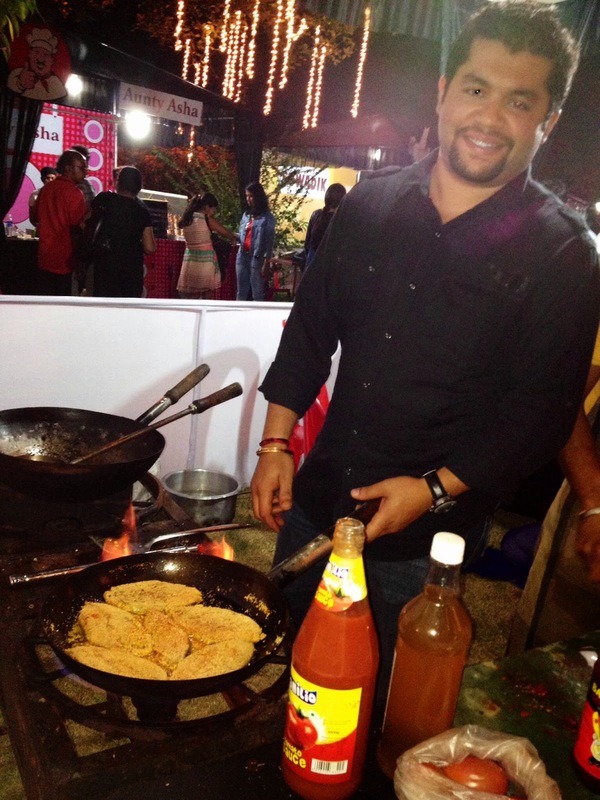 Vardhan from Anandashram made his signature crab xec xec and walked away with the honours. Crab was a difficult dish since most of the judges didn’t even attempt to break the shells and get to the meat. 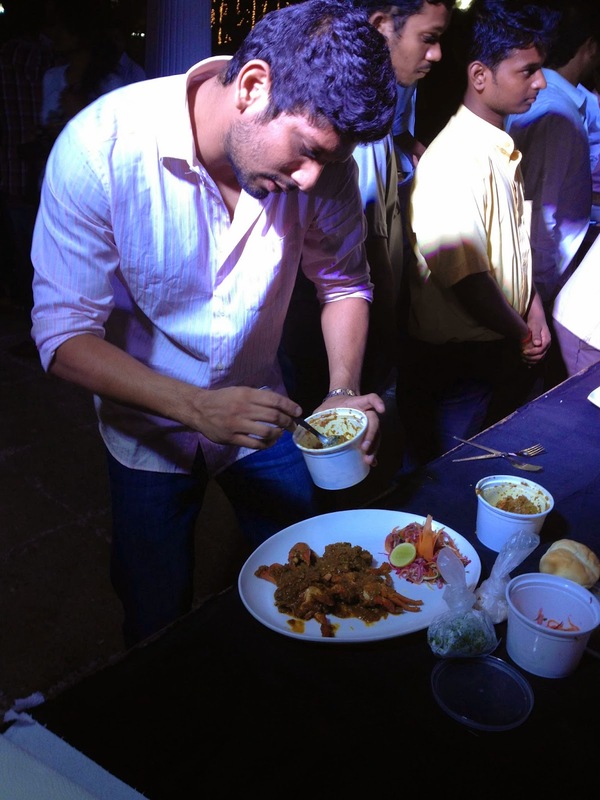 But the xec xec masala was flavourful and yet not to spicy for the judges. Most of the stalls were not preparing their meals in the garden. They had got premade amounts to the venue, which led to a lot of them getting over way before even the stall owners expected. Aunty Asha’s Prawn Sannas, and Suwadiks Prawn pickle were over mere 3 hours from opening shop. 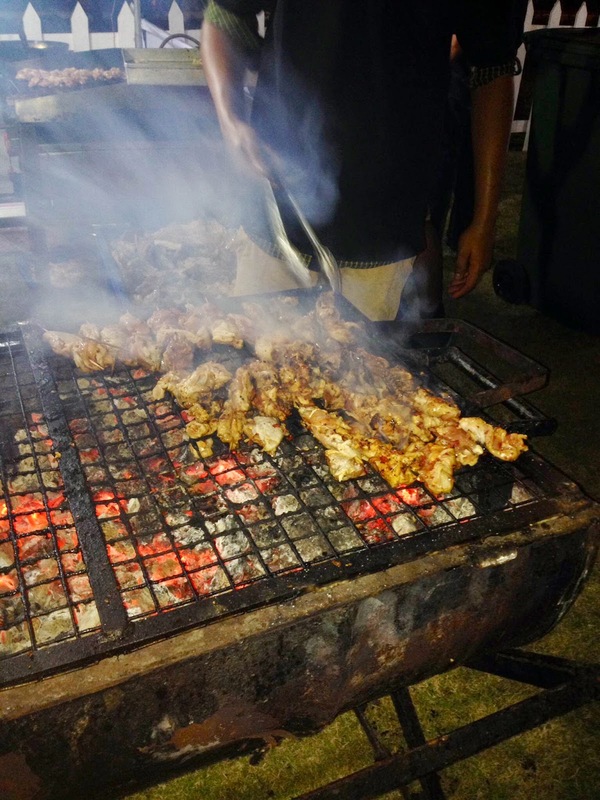 Vasquito was one of the only stalls doing barbeques on the spot, and hot fresh from the fire meals. 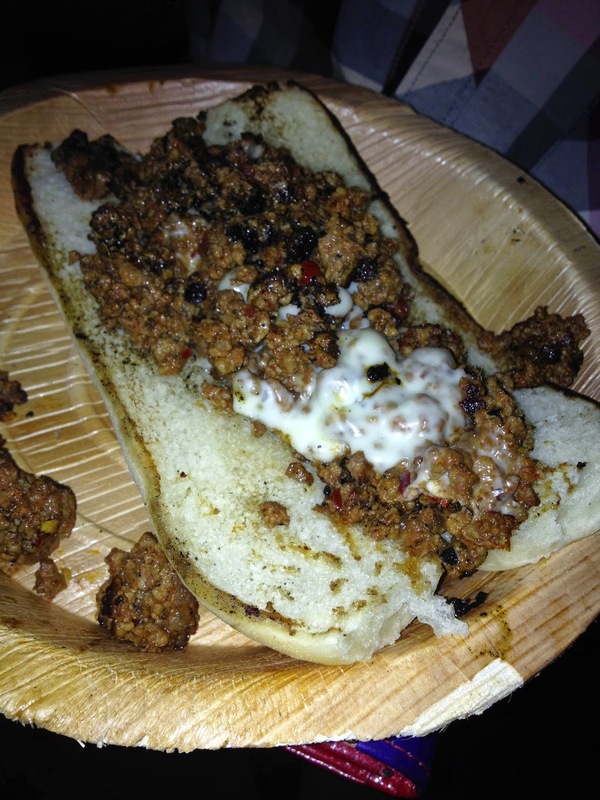 They pretty much had the largest milling crowd and we tried the beef chilly willy which was a spicy mince between soft sweet bun roll. It hit the spot perfectly. So, did ‘Taste of Goa’ truly encapture the taste of goa? I herad a few friends remark, hey it’s nothing great, it’s what we have every day at home. I feel therin lies the success of the event, it brings goan homemade specialities, with all the warmth and love and goodness of being served homely fare. It’s a great way to showcase Goan cuisine to the world especially in it's first year, even if it left the Local Goan craving for more. when I began writing my foodietrails I realised that to best get to know a place and it’s people, one must get to know the cuisine, but at the taste of Goa festival I realised that to best get to know the cuisine of a place, you must get to know the people. I enjoyed the energy, the music, the vibe of taste of Goa food festival, but I enjoyed even more knowing so many of the people running the food stalls personally. Knowing that one is a psychiatrist and two are engineers, knowing where they live and what they do and their personal journey of food made this food trail that much special. It’s on till the Sunday evening. 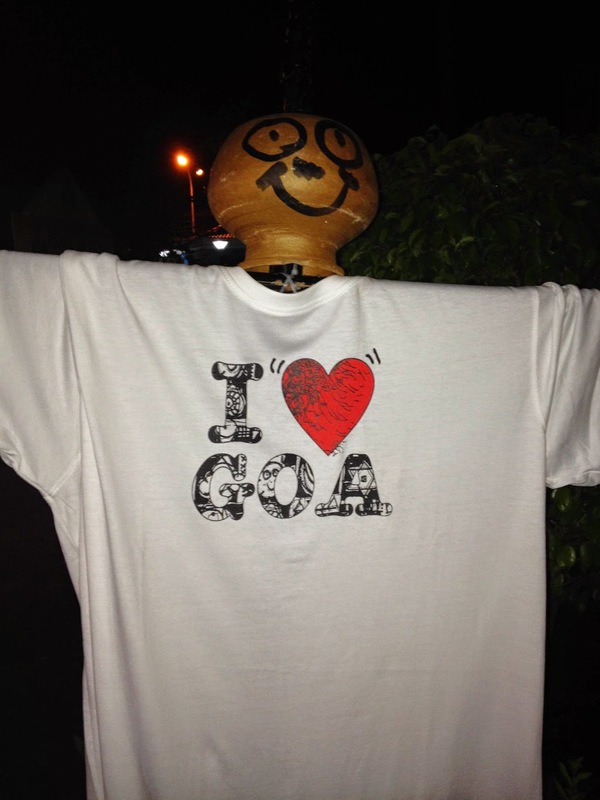 So get there and get to know Goa more closely.